Canfor's safety culture is a pillar of its success as a company and as an employer. 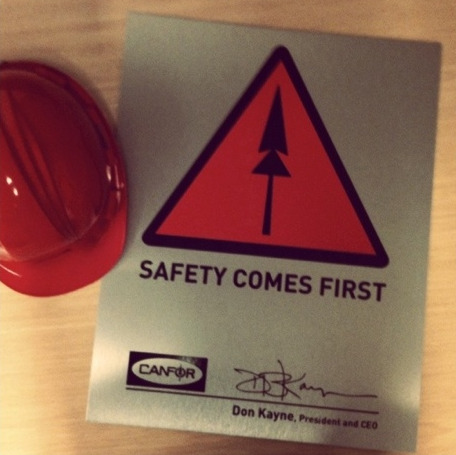 The Canfor "Safety Comes First" sign and logo. The sign is highly visible in every Canfor operation and seen daily by over 6,000 employees.